We complain about the reboot/rehash/reimagining of films more than we can count these days – it’s a virulent go-to ploy for lazy executives and wary, box office-focused studios. However, now and again the plan works, and something uniquely original develops from a well-known narrative. A Star Is Born may be one of the most remade films, alongside Invasion Of The Body Snatchers and The Last Man On Earth, and whilst horror films can employ contemporary news to reflect the story’s terror, the “zero to hero” story can’t always be so tricksy with its commentary. The music, obviously, changes massively with the times, and from 1937, 1954 and 1976 it certainly did, but fame and the trials and tribulations of it, stays the same. Despite all this initial baggage a 2018 version of A Star Is Born carries, it’s full of life and simply a joy to have back on our screens. Coming into the film, we are introduced to a popular country rocker, Jackson Maine (Bradley Cooper), entertaining the crowd and swiftly departing once his gig is done. We cut then to restaurant worker, Ally (Lady Gaga), growing tired of her job, and prepping for a regular stint singing at a bar. Through a lack of booze in his car after the show, Jackson winds up stopping at said bar and the pair meet, after Ally wows him with a glitzy rendition of La Vie En Rose. The story moves on in a conventional way, as the pair grow closer together, becoming colleagues within the music industry, lovers and supporting partners, whilst showbiz drama and newly found fame complicate things. To repeat ideas mentioned in the first paragraph, as the sketchy outline shows, the story is pretty familiar. It’s Cooper’s very honest depiction of this journey that works so well, along with a chemistry between him and Gaga than no one could have envisioned. The script is also pitch-perfect (if you’ll excuse the musical pun), and whether it’s Cooper’s decision to allow for some improv, or the script and performances are so sharp, you see moments of pure spontaneity, it seems. So, what could be a lazy Hollywood “musical” winds up an Oscar-worthy drama that just so happens to be the fourth version of a well-known story. The film’s determination to create a vérité style never seems undermined. The reason the story works so well for multiple remakes – and one of the reasons for shows like X Factor and X Country’s Got Talent – is that we know this could happen on occasion. Those moments of being cast into the spotlight are simply cool and dreamlike to many of us. But whilst some films really put a spin on that ethereal quality, Cooper nails realism to the ground. Hiring the Requiem For A Dream and Black Swan cinematographer, Matthew Libatique, also helps achieve this. Libatique’s crisp cinematography bring you into a world of domesticity and showbiz without any jarring style. He’s able to fluidly move through both worlds, so whilst you’re seeing The Grammys take place, you never forget Ally’s humble persona wrapped up in that world, as he angles it as closely as he can around her. The same goes for the stage scenes – events like Glastonbury always seem tightly framed, in order to generate a closeness with the two leads as they perform to thousands of adoring fans. It’s hard to imagine another pairing for the film, especially when earlier projects had Beyonce and Russell Crowe. Crowe would have gone down the James Mason path with the character, having an unlikable aspect to him, and Beyonce would have been too Beyonce. Cooper plays Maine with such grace, so when there are moments where you see his damaging personality, you can’t help but feel sorry for him. When he matches up with Gaga’s Ally, the character evolves more – with a dynamic many of us understand – the supportive wife, cradling her self-destruct husband. The candid representation is always touching, never hammy, and truly poignant. Often times this type of duo leads an audience to pity or hate the couple to the point of distancing them; here it serves to strengthen your attachment to them. The titular Star is a Lady Gaga we haven’t had a chance to see yet, and hopefully will lead to some different music. She belts out the ballads here, and you never see the star persona we know her from – she is completely invested as Ally, and a sterling actress. And then there is the music, a musical’s key edge in establishing likability. Both Jackson Maine’s heard oeuvre, and that of Ally’s boast cleverly-written, rhythmic, crowd-pleasing tunes. These are meant to be Grammy-winning, stadium/festival-packing superstars, so their music must work, and work it does. A moment in showing the rise of Ally also cleverly reflects the modern day scene of lazily written, catchy songs that bring some people to the top, even when they are capable of so much more. 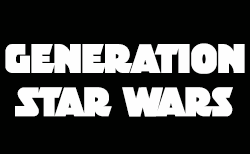 It’s a subtle dig at some of the contemporary music scene, allowing for something new in the remake, and adding to the film’s epoch. The soundtrack, on a side note, is bound to leap up the charts once released, and the film’s audience listen in, and recommend it. As with many musically-tinged films, the audience can be both massive and selective. A Star Is Born won’t leap out to everyone, but for those that want to see it, and those that enjoy it, it’ll be something they’ll want to see again. Word-of-mouth should, expectedly, create an enormous buzz, and rightly so. Despite cinema needing more original content, and way fewer remakes, A Star Is Born spotlights how the Hollywood machine, when carefully and lovingly engineered, can work unlike any other. 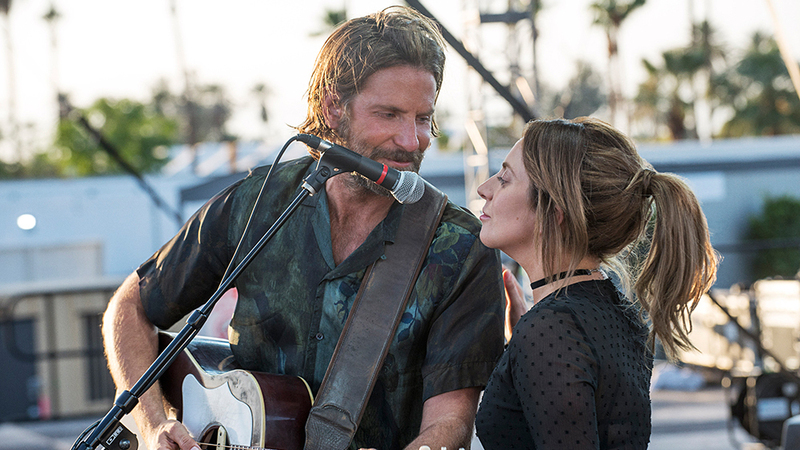 Cooper and Gaga redefine their careers here, opening up new doors for creative output, and showing tremendous skill, and its doubtless going to be celebrated. A Star Is Born is available on Blu-ray and DVD now.